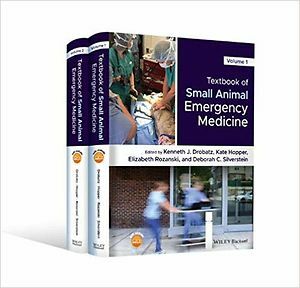 Textbook of Small Animal Emergency Medicine offers an in-depth understanding of emergency disease processes and the underlying rationale for the diagnosis, treatment, monitoring, and prognosis for these conditions in small animals. Featuring contributions from leading experts around the world, the book provides practical clinical information in the context of a solid understanding of anatomy, physiology, pathophysiology, and pharmacology. Detailed and comprehensive, this text will allow veterinary emergency clinicians to truly advance the practice of emergency medicine. Filled with all the vital information that every emergency veterinarian needs, Textbook of Small Animal Emergency Medicine covers such topics as common conditions in the emergency room; emergency conditions by system; trauma and resuscitation; fluid and blood product therapy; emergency room procedures; anesthesia and analgesia for the emergency room patient; and unique emergency medicine topics. Textbook of Small Animal Emergency Medicine is an important book for emergency specialists, emergency residents and interns, emergency veterinarians, and veterinary students alike.